Chicken Nuggets is a simple and delectable appetizer recipe and can be made at home very easily. Here’s a simple way of preparing this non-veg starter recipe by following a few simple steps. Take a glass bowl and add chicken, garlic paste, onion, pepper and salt in it. Mix all the ingredients well. Once done, mince the mixture and refrigerate it for around 45 minutes to 1 hour. Now, take another bowl and beat the egg in it. Keep aside till further use. Then take small portions of the minced mixture and prepare small nuggets of the same. Coat these nuggets with flour and then dip into beaten egg mixture. Then, coat with breadcrumbs and arrange it in a plate till further use. Meanwhile, heat oil in a frying pan over medium flame in Sunflame Lotus Hob. Once the oil is sufficiently hot, add nuggets and fry them for 2 mins on both side. 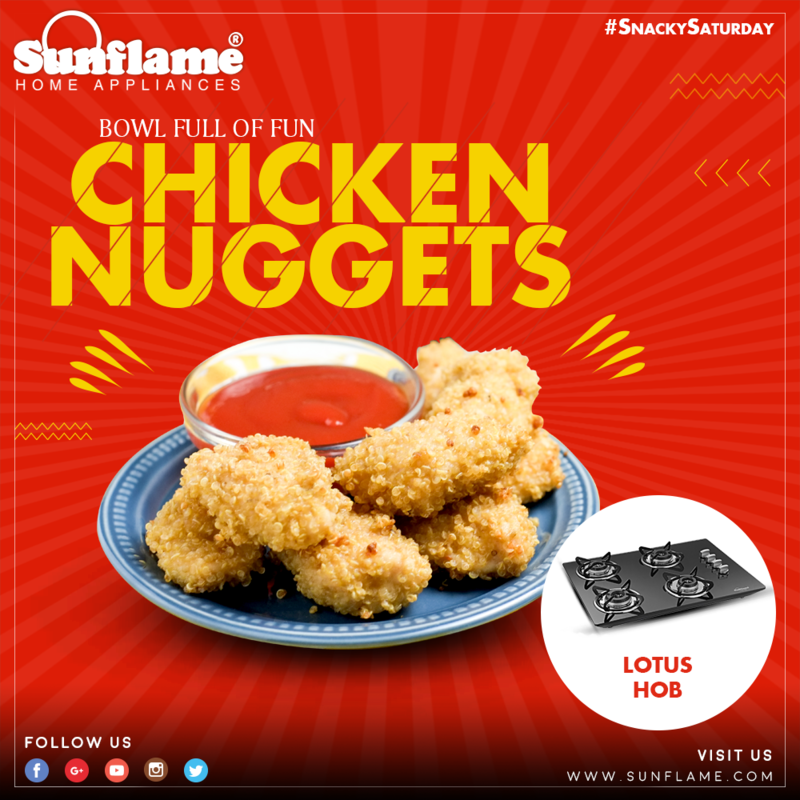 Fry the bite-sized delights till they turn golden brown in colour. Once done, transfer the nuggets over a napkin so that the excess oil is absorbed. Serve hot with ketchup or mint chutney.